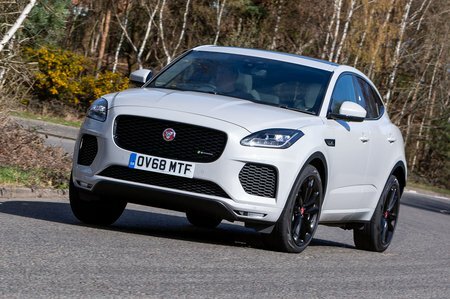 Jaguar E-Pace 2.0  R-Dynamic SE 5dr Auto 2019 Review | What Car? What Car? will save you at least £1,770, but our approved dealers could save you even more. All the equipment of SE, but with sportier alloy wheels, a sporty bodykit, contrast stitching on the seats, metal pedals and a sports steering wheel with gearshift paddles for automatic models.